Summit Express shuttles travelers between Denver International Airport and Keystone with private car service. Start your Keystone ski vacation with an airport charter service in one of our luxurious SUV’s. 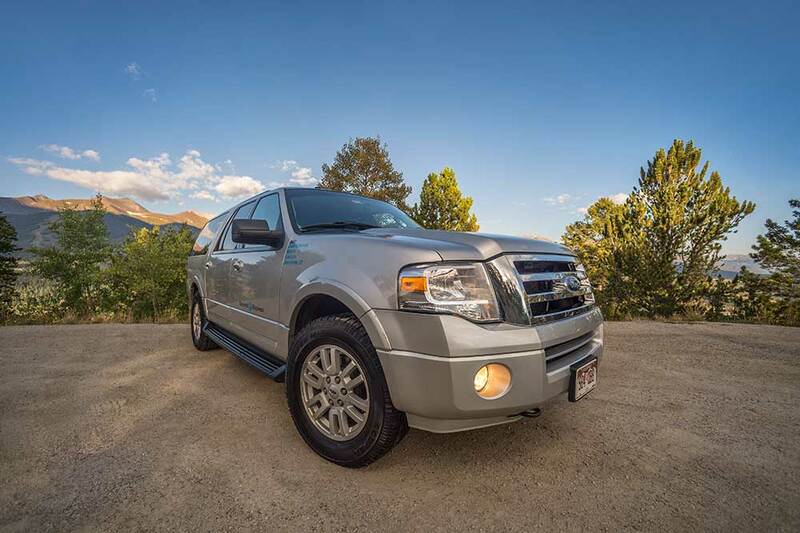 Leather interior, DVD player and complimentary bottled water for your trip from the Denver Airport. We are now offering our shuttle service in our Ford Transit Vans! Our private charter services is perfect for wedding parties, company groups and anyone who wants a luxurious and private trip from the Denver Airport to Keystone. Arrival Charters include a 30 minute stop which may be used for groceries, dinner, etc. Whether you need to pick up groceries for the vacation home, or your reserved ski rentals at the local shop, just let us know when booking!